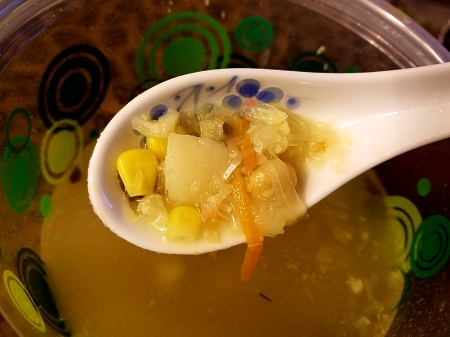 Our Chicken Broth based soup is brimming with vegetables. 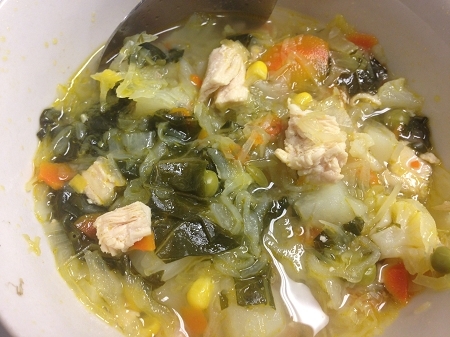 Tastes great by itself, or add noodles to create a heartier, healthy soup. Comes in a 16 Oz and 32 oz Container. My mum has been making soups at home that has developed a HUGE fan base. We brought her into the bakery to make it so that even more people can enjoy her special soup. Try it and find out why its fast becoming an in store favourite! 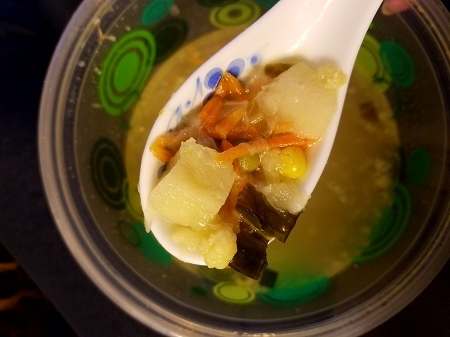 Contains: Chicken Stock, Cabbage, Corn, Bok Choy, Carrots, Onions, Peas, Cauliflower, Parsley, Chickpeas, and Potatoes.